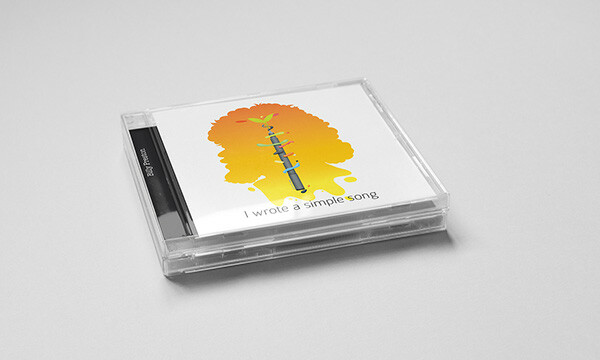 Soul singer, Billy Preston's, I wrote a Simple Song CD packing redesign. The objective was to create something that reflected the funky yet serious tone of the music, especially the title track of the album. 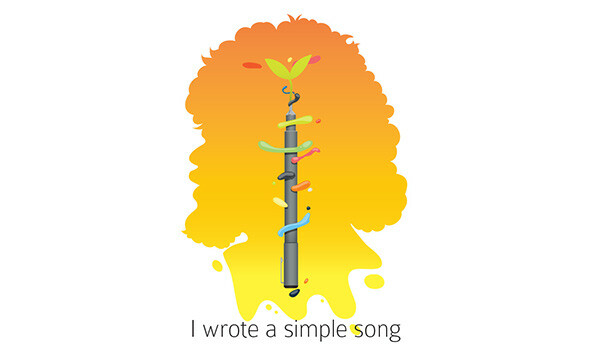 The gravitas of the design is through its simplicity which emphasizes "a simple song". The pen is the vehicle in which Billy's thoughts make it to the material world. The sprout that is flowing from the nib of the pen is representative of the life that is given to conceptual thought once written down. Colorful globules of color float around the pen, they are conceptual thoughts that float around in the mind waiting to be given form. A silhouette of Billy Preston's profile rest's in the background. He glows like a sun as it's he that infuses the pen with energy to give form to his thoughts. 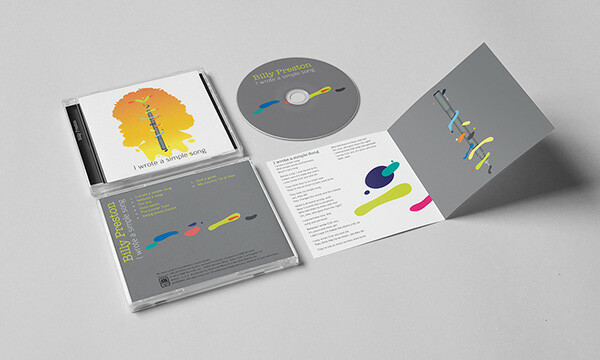 Packaging Redesign for Billy Preston's "I wrote a simple song" album.